On August 17, I posted an article about the rapid melting of arctic sea ice this summer and the likelihood that we were heading for a record low in sea ice extent. It happened just over a week later. On August 26, the ice cover in the Arctic Ocean hit a historic low. And it's still melting. "So what?" you might ask. Doesn't that just mean more ships, more tourists, more economic development, and other good stuff? And maybe a few uncomfortable polar bears? Over the next few weeks, as the ice melts, the Vancouver Aquarium's Aquablog is running a series of articles about what declining sea ice means for the Arctic and for the planet. Here's the first of them: Arctic Sea Ice Reaches Record Low. And keep an eye on the blog for updates on this record-setting summer. This summer, my family and I spent a lot of time with small children who were relatives of one stripe or another. During several occasions, I noticed all of the toddlers had one in common: they were dog crazy. In June, an 18 month old and a four year old, along with their parents, came camping with us and our two Jack Russells. The bond was instant. The four year old spend virtually every waking moment cohorting with FrankieTexas as she calls them, squashing their names together into one. She never took her hand off the handle of the leash, she sat with them, cuddled with them, even French kissed them amidst an avalanche of giggles. After about 24 hours, the dogs lay stretched out in the grass and fine ash surrounding the fire pit, exhausted. Their little keeper held onto the leash, threatening to drag them on a walk the moment they were able to stand. I wondered if the attraction is about the dogs being about the same size? Though I was assured that the little girl is just as enthralled with an aunt and uncle’s Rhodesian ridgeback, who is nearly twice as tall as she is. Perhaps it is just my niece’s personality, I thought; an animal lover who is starting early. This idea was supported by the behaviour of the 18 month old, who was terrified rather than enamoured, despite no scary past experiences with canines. She’s slight of build, delicate in fact, with delicate features to match. She’s sweet, always smiling and usually gets fought over among the motherly segment of family gatherings. The entire camping trip, she spent all her time in her mother’s arms pointing at their adorable noses saying “doggie,” “ruffruff,” “bite me,” and most often “no.” She cried and whined and yelled “no” much louder if she was put down in their vicinity. Clearly, not all children like dogs. Several weeks later, another four year old came to visit. Shy, unspeaking and most interested in engineering feats – how to nail boards together and that sort of thing – he, too, surprised me by quietly taking the leash out of my hand. He spent the next two hours taking the dogs for walks around and around the house. Being mechanically minded, his main focus was the leash. During breaks, he tangled and untangled the leads around chair legs, and clipped and unclipped them to their collars. He discussed the best way to hold them, and the relative strength of leather versus nylon. He couldn’t remember their names, but he loved them just the same. Not long after, me and Frankie and Texas were at yet another family get together. A bigger one this time; all of the young ones were gathered in one place, a small, pleasant backyard. Unlike home, the dogs could not wander off into the fields to find the perfect patch of timothy grass to poop on. And so, it was to my utter embarrassment that my brother –in- law found a large pile of dog poo while standing barefoot on the manicured lawn. A cousin laughed at my genuine astonishment – I don’t know how it happened, I don’t know how it could be my dogs, I kept a close eye on them the entire time, they were never off their leashes. But, here it was. And two more piles close by. I felt all 30 pairs of eyes watch as I bent and picked it up. I’m not a dog person, I told myself. This was my husband’s idea. As soon as their time is up, that’s it. No more dogs. Then, the eighteen month old arrived. Approaching in her mother’s arms, she pointed at their poo-sniffing noses and said, “doggie” and “ruff-ruff.” And immediately, and delicately, reached out to grasp the leash in my hand. “You want to hold onto Texas?” I asked in astonishment. She nodded, wriggled to get down, and proceeded on wobbly feet to take them for a walk around the yard. I patted Frankie and said “good boy,” and he cocked his head in the way he does that makes his ears flop and makes me laugh. My dog poo-hardened heart melted. His tail wagged and the back half of his body wagged with it. And I wondered yet again, why it is that we have such a strong and seemingly innate connection with these meat-eating troublemakers. 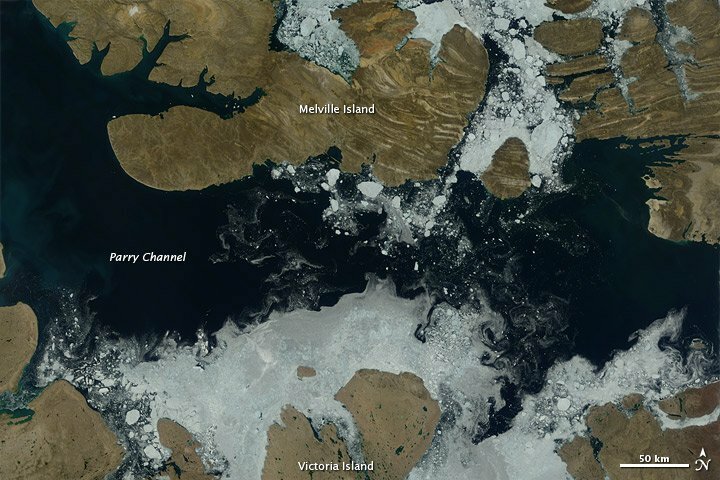 We've heard a lot about melting ice in the Arctic this summer, and we're likely to hear more. It takes a long time for polar ice to start melting and a long time for it to return, so the 2012 melt will continue for another month or so. That means -- almost certainly -- some new climate records. And with no sign of serious efforts to stop or slow the human contribution to climate change, there will be more records in the future. shows large areas of open water. Just a few days ago, scientists from the European Space Agency reported that sea ice in the Arctic is melting far faster than anyone predicted. Based on information from a satellite that measures the thickness of the ice, they estimate that 900 cubic kilometres of ice have disappeared every year since 2004. At that rate, they say, it could be as little as ten years until the day when a satellite image shows no ice at all in the Arctic Ocean at the peak of the summer melt. Earlier this month, a giant cyclone raged over the Arctic Ocean. Storms are common at this time of year, but the researchers studying them said this was the biggest they had seen. The winds churned the ocean, breaking up the ice floes and making them more susceptible to melting. In mid-July, a wash of warm air over Greenland triggered melting across 97 percent of the island's massive ice sheet. The last time this happened was in 1889. Scientists don't know if the melt this time is related to climate change, but they do know global warming is causing Greenland's glaciers to thin and chunks to break off, forming massive icebergs. Does any of it matter? The quick answer is, yes. Whole ecosystems depend on arctic sea ice, from microscopic, single-celled organisms to polar bears. As the ice retreats, the open ocean absorbs more heat, warming the atmosphere above it and speeding up global warming. And melting of the fresh water locked up in Greenland's ice sheets would cause sea levels to rise around the world. The fact is that writers need to keep their eyes, ears and minds open for ideas at all times, whether you write poems, fiction or science. You never know where or when an idea will pop up that may eventually blossom into a full fledged story, a poem or piece of informational writing. But no matter how interesting the fact may be, fact is that a writer needs to be the one to spot the story inside it. How do you see a story in a crater, in lichen? That’s what science writers do, whether it is natural science or social science. About eight years ago, I read an article in a newspaper about the National Library Service in Kenya, Africa. They were concerned about children in outlying desert villages. These children of wandering herders, whose families congregate in remote desert areas, had no access to books. The roads in this part of Kenya were often impassable. The only way to bring a heavy load into this hinterland, was by camel. Thus, the Kenyan Library camel train was born. Upon reading the article, I realized that I had never lived in a place without a library. Many children around the world, however, do not have such access to books. I started to do research, mostly through the internet, to find out how else in the world children get library books. I didn’t know at the time that my research would lead to a book. Children in Thailand receive books even in remote jungle villages. An elephant library delivers books, learning aids and medicine. The volunteers and librarians who work with the mobile libraries around the world were keen to share their success stories. Somehow they managed to find or borrow a camera and I started receiving envelops full of wonderful photos: beaming children’s faces in Papua New Guinea, pictures of a bicycle loaded with books in Peru, a boat library in Indonesia. 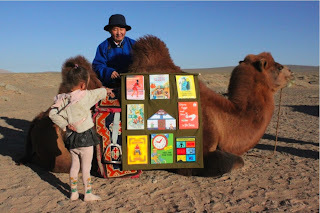 My book MY LIBRARIAN IS A CAMEL was published by Boyds Mills Press. Little did I know that it would lead to many more heartwarming stories and incredible travel opportunities for me. I was invited to Pakistan to work with teachers and students. In Lahore I saw the very mobile library about which I had written. Then I was asked to speak about the book at the IBBY (International Board of Books for Young People) Congress in Macau, China. Here I met Dashdondog, a man from Mongolia with whom I had been emailing for several years. He had come to the Congress to receive the Asahi Award for his amazing mobile library project in the Gobi Desert. How do you visualize scientific concepts? It's often pretty tough. 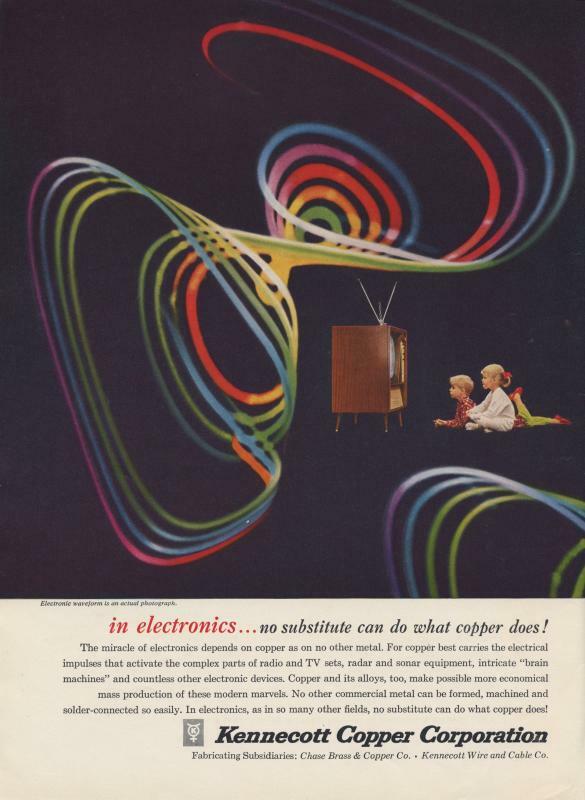 This link shows some of the ways designers from the 1950s and '60s gave it a go. 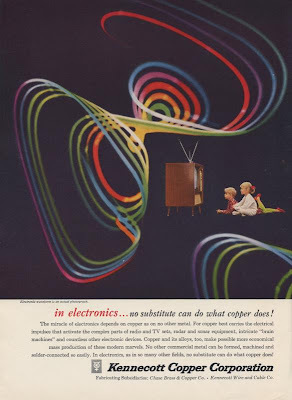 Some Saturday eye candy for those with a love of design and science. This brilliant post is another from my favourite on-line curator, BrainPickings.